Show off your NCAA Men's Basketball National Champions team in a big way! 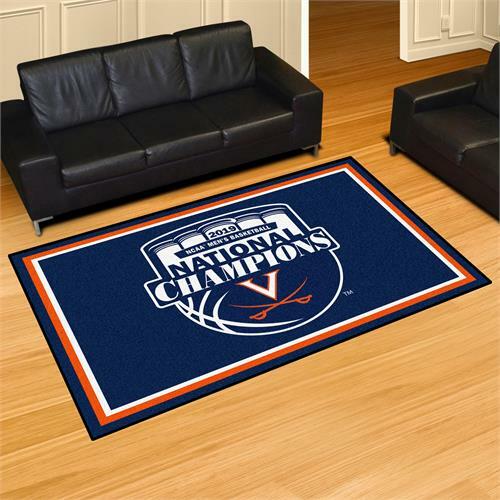 This Virginia Cavaliers 2019 NCAA Men's Basketball National Champions 5'x8' Ultra Plush Area Rug won't leave any doubt about who you were rooting for during Final Four! Non-skid backing keeps rug in place. Made of 32 ounce nylon carpet, which feels great on your feet. Chromojet printed in vibrant true team colors. Cleaning is a breeze, just vacuum regularly. Great for game rooms and man caves!